The worldwide trend towards abolition, underway for more than fifteen years, was again confirmed in 2013 and the first six months of 2014. There are currently 161 countries and territories that, to different extents, have decided to renounce the death penalty. Of these: 100 are totally abolitionist; 7 are abolitionist for ordinary crimes; 6 have a moratorium on executions in place and 48 are de facto abolitionist (i.e. Countries that have not carried out any executions for at least 10 years or countries which have binding obligations not to use the death penalty). Countries retaining the death penalty worldwide declined to 37 (as of 30 June 2014), compared to 40 in 2012. Retentionist countries have gradually declined over the last few years: there were 43 in 2011, 42 in 2010, 45 in 2009, 48 in 2008, 49 in 2007, 51 in 2006 and 54 in 2005. In 2013, executions were carried out in 22 countries, as in 2012, and compared to 20 in 2011, 22 in 2010, 19 in 2009 and 26 in 2008. In 2013, there were at least 4,106 executions, compared to at least 3,967 in 2012, at least 5,004 in 2011, at least 5,946 in 2010, at least 5,741 in 2009 and at least 5,735 in 2008. The slight increase in executions as compared to 2012 is explained by increases recorded in Iran and Iraq. In 2013 and in the first six months of 2014, there were no executions in 2 countries where executions were carried out in 2012: Gambia and Pakistan. Once again, Asia tops the standings as the region where the vast majority of executions are carried out. Taking the estimated number of executions in China to be at least 3,000 (more or less as in 2012 and about 1,000 fewer than in 2011), the total for 2013 corresponds to a minimum of 4,010 executions (97.6%), up from 2012 when there were at least 3,879 executions. In the Americas, the United States of America was the only country to carry out executions (39) in 2013. On 9 October 2013, the Inter-American Commission on Human Rights (IACHR) urged Caribbean countries that still have the death penalty to abolish it or at least to impose a moratorium on its application. In a message marking the International Day against the Death Penalty on 10 October, the IACHR said regional instruments for protection of human rights do not prohibit per se the imposition of the death penalty, but they establish specific restrictions and prohibitions regarding its application. The IACHR said it was urging countries to ratify the Protocol to the American Convention on Human Rights to Abolish the Death Penalty; to refrain from adopting any measure that would expand the application of the death penalty or reintroduce it and to take any measures necessary to ensure compliance with the strictest standards of due process in cases involving the application of the death penalty. In Africa, in 2013, the death penalty was carried out in 5 countries (as in 2012), and there were at least 57 executions: Somalia (at least 27), Sudan (at least 21), South Sudan (at least 4), Nigeria (4), and Botswana (1). In 2012 there were at least 42 executions, in 2011 at least 24, in 2010 at least 43, in 2009 at least 19 as in 2008 and compared to 26 in 2007 and 87 in 2006 on the entire continent. In 2013, there were no executions in Gambia where they occurred in 2012, while Nigeria hanged four people in the country’s first executions since 2006. In Europe, the only blemish on an otherwise completely death penalty-free zone continues to be Belarus, a country that has continued to execute its citizens regularly. In 2013, for the first time in many years, there were no reports of judicial executions carried out in Belarus. However, it resumed executions in 2014 (2). In 2012, there were at least 3 executions. In 2011, two men were executed for murder and another two murderers were executed in 2010. In 2009, there were no executions, while four people were executed in 2008 and 1 in 2007. In 2013 and the first six months of 2014, another 12 States joined the list of total or de facto abolitionist countries: Latvia, Bolivia, Guinea-Bissau, Gabon and El Salvador acceded to the Second Optional Protocol to the International Covenant on Civil and Political Rights aiming at the abolition of the death penalty; Democratic Republic of the Congo, Qatar, Cuba, Zimbabwe, Chad and Lebanon can be considered de facto abolitionist countries, after ten consecutive years without carrying out executions; Equatorial Guinea established a legal moratorium on the death penalty. In the United States, in May 2013 Maryland became the sixth State in six years to abolish the death penalty. In 3 other States, Governors granted a stay of executions and essentially put executions on hold until the end of their term: Oregon and Colorado until January 2015, and the State of Washington until January 2017. Among the 34 that retain capital punishment, 7 States and 2 jurisdictions have not carried out an execution in more than ten years (hence, we can consider that they are implementing a “de facto moratorium”): Colorado (last execution in 1997), Kansas (1965), Nebraska (1997), New Hampshire (1939), Oregon (1997), Pennsylvania (1999), Wyoming (1992), U.S. Federal Government (2003), and U.S. Military (1961). Five other States have not had an execution in over 8 years: Arkansas, California, Montana, Nevada, and North Carolina. Summing U.S. jurisdictions that either do not have the death penalty (19) or have not carried out an execution in at least 10 years (9), and an additional 5 that have not had an execution in 8 years, it has a total of 33 out of 53 jurisdictions with no executions in that time. In 2013 and in the first six months of 2014, significant political and legislative steps towards abolition have been seen in 23 countries. Antigua and Barbuda abolished the mandatory death penalty. 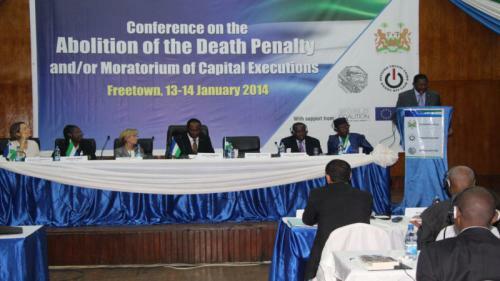 Tanzania, Comoros, Morocco, Ghana, Suriname and Sierra Leone have announced or proposed laws for the abolition of the death penalty in the Constitution or criminal codes. During the Universal Periodic Review by the UN Human Rights Council, Burkina Faso, Central African Republic and Republic of Congo accepted recommendations regarding the abolition of the death penalty. Zambia, Mali, Dominica, Jordan, Ethiopia, Thailand, Singapore, Tunisia and Uganda have confirmed their policy of de facto moratorium on the death penalty or executions in place for many years. Collective commutations of death sentences or suspension of executions indefinitely were granted in Guyana, Pakistan, Myanmar and Cameroon. Regarding steps backwards, in 2013 and the first six months of 2014, eight countries resumed executions, in some cases after many years of suspension. In addition to Indonesia [see chapter “Democracy and the death penalty”], resumed executions: Kuwait (5), Malaysia (3), Nigeria (4) and Vietnam (at least 8) in 2013; Belarus (2), United Arab Emirates (1) and Egypt (at least 8) in 2014. Some political or legislative steps back towards the reintroduction of the death penalty and resumption of executions have been made in the following countries: Bahrain, Maldives, Sri Lanka, Papua New Guinea, Brunei Darussalam and Kazakhstan. Of the 37 countries worldwide that retain the death penalty, 30 are dictatorial, authoritarian or illiberal States. Sixteen of these countries were responsible for approximately 4,046 executions, 98.5% of the world total in 2013. China alone carried out at least 3,000, about 74.5%, of the world total of executions; Iran put at least 687 people to death; Iraq, at least 171; Saudi Arabia, at least 78; Somalia, at least 27; Sudan, at least 21; North Korea, at least 17; Yemen, at least 13; Vietnam, at least 8; Kuwait, 5; South Sudan, at least 4; Nigeria, 4; Malaysia, 3; Palestine (Gaza Strip), 3; Afghanistan, 2; and Bangladesh, 2. 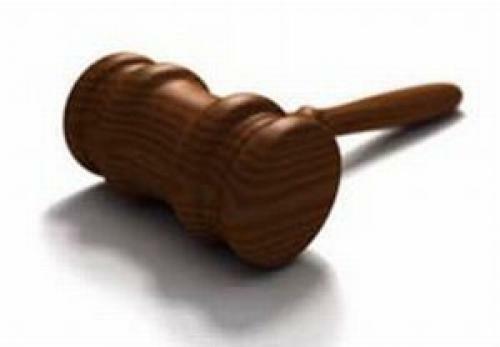 It could not be confirmed if judicial executions took place in Syria in 2013. The terrible podium of the world’s top executioners is taken by three authoritarian States in 2013: China, Iran and Iraq. Although the death penalty remains a State secret in China, some news in recent years, including declarations from official sources, suggest that the use of the death penalty may have diminished compared to preceding years. A major turnabout came after the introduction of a legal reform on 1 January 2007, which required that every capital sentence handed down in China by an inferior court be reviewed by the Supreme People’s Court (SPC). Since then, the top court has overturned “on average” 10 per cent of death sentences handed down each year in the country, and the number of executions has declined by more than 50 per cent. Considering further that, since February 2010, the Supreme People’s Court has recommended to use a policy of “justice tempered with mercy,” suggesting to the courts to “suspend the death sentence for two years for all cases that don’t require immediate execution,” it is realistic to conclude that the executions in 2013 were at least 3,000, more or less as in 2012. The number of executions in 2013 in Iran was the highest reported in more than 15 years. The election of Hassan Rouhani as President of the Islamic Republic on 14 June 2013 has led many observers, some human rights defenders and the international community to be optimistic. However, the new Government has not changed its approach regarding the application of the death penalty, and indeed, the rate of executions has risen sharply since the summer of 2013. According to Iran Human Rights (IHR), at least 870 people have been executed during the first year after the presidential elections (between 1 July 2013 and 30 June 2014). According IHR), in 2013 the Islamic Republic carried out at least 687 executions, a 16% increase compared to 2012: 388 execution cases (56%) were reported by official Iranian sources; 299 cases (44%) included in the annual numbers were reported by unofficial sources. According to the National Council of Resistance of Iran (NCRI), in 2013 the Iranian regime executed at least 660 people, of whom 430 were put to death after the 14 June presidential elections. In 2013, according to the UN Office of the High Commissioner for Human Rights (OHCHR), 625 people were executed, including at least 28 women and a number of political prisoners. According to the Iran Human Rights Documentation Center (IHRDC), in 2013, the Islamic Republic of Iran carried out at least 624 executions, 334 of them reported by official Iranian sources. According to Human Rights Activists in Iran, at least 585 people were executed in 2013: 52% of these prisoners were executed on charge of drug trafficking. In 2014, as of 18 June, according to Iran Human Rights Documentation Center (IHRDC), at least 342 executions were carried out in Iran, including 125 announced by the Government. In 2013, Iraq executed at least 172 people, the country’s highest figure since the 2003 US-led invasion. In 2012, Iraq had executed at least 129 people, a significant and worrying increase compared to the previous year when at least 68 people were executed, already four times as many as the 17 executed in 2010. At least 46 people were executed in Iraq in 2014, as of 7 April. Executions began in August 2005. Since then, as of 7 April, at least 665 executions were carried out, most of them related to acts of terrorism. Of the 37 retentionist, only 7 countries are considered liberal democracies. This definition, as used here, takes into account the country’s political system and its respect towards human rights, civil and political liberties, free market practices and the rule of law. There were 6 liberal democracies that carried out executions in 2013, and they accounted for 60 executions between them, 1.5% of the world tally. These were: United States of America (39), Japan (8), Taiwan (6), Indonesia (5), Botswana (1) and India (1). In 2012 there were 5 (United States, Japan, Taiwan, Botswana and India), and they carried out 58 executions. Indonesia resumed executions in 2013 after a de facto five-year suspension. In the first six months of 2014, as of 30 June, only 3 liberal democracies carried out the death sentences, and they accounted for 29 executions between them: United States of America (20), Taiwan (5) and Japan (1). Furthermore, in all these countries considered “democratic,” including the United States, the system of capital punishment is for many aspects covered by a veil of secrecy. Of the 47 Muslim-majority States or territories worldwide, 25 can be considered abolitionist in various forms, while 22 retain the death penalty, of which 18 look explicitly to Sharia law as the basis of their legal system. In 2013, at least 1,022 executions, compared to 872 in 2012, were carried out in 13 Muslim-majority countries (one more than in 2012), many of which were ordered by religious tribunals applying a strict interpretation of Sharia law. In 2014, as of 30 June, at least 421 executions were carried out in 8 Muslim-majority countries. Hanging, firing squad and beheading are the methods which were used to enforce the death penalty in 2013 and in the first six months of 2014, while there were no reports of judicial executions carried out by stoning, which is the most terrible of all Islamic punishments. In 2013, at least 899 hangings were carried out in 9 Muslim-majority countries: Afghanistan (2), Bangladesh (2), Iran (at least 687), Iraq (at least 172), Kuwait (5), Malaysia (3), Nigeria (4), Palestine (3) and Sudan (at least 21). In 2014, as of 19 June, at least 398 executions by hanging were carried out in 5 Muslim-majority countries: Iran (at least 342, including 125 announced by the Government, as of 18 June); Iraq (at least 46, as of 7 April); Malaysia (at least 1); Palestine (1, as of 7 May); and Egypt (at least 8, as of 19 June). In 2013, another 20 executions by hanging were carried out in 5 non-Muslim countries: Japan (8); Taiwan (6); South Sudan (at least 4); Botswana (1); and India (1). In 2014, as of 30 June, another 6 executions by hanging were carried out in 2 Countries: Taiwan (5) and Japan (1). Hanging is the preferred method with which to apply Sharia law in Iran. Hanging is often carried out by crane or low platforms to draw out the pain of death. The noose is made from heavy rope or steel wire and is placed around the neck in such a fashion as to crush the larynx causing extreme pain and prolonging the death of the condemned. Hanging is often carried out in public in Iran. In 2013, at least 59 public executions were held, and the trend has continued in 2014 (at least 31 executions as of 8 May). Not considered an Islamic punishment, the firing squad has been used in 2013 and the first months of 2014. In 2013, at least 52 executions by firing squad were carried out in 4 Muslim-majority countries: Yemen (at least 13), Indonesia (5), Somalia (at least 27), and Saudi Arabia (7) where they were carried out as alternative to public beheading, the customary method of execution in the Kingdom. In 2014, as of 25 May, at least 8 executions by firing squad were carried out in 3 Muslim-majority countries: United Arab Emirates (1); Somalia (at least 6); Palestine (at least 1). It is not possible to give the exact number of executions carried out in Syria in 2013 and the first months of 2014, due to the ongoing civil war and the lack of official information provided by Syrian authorities. No information was available about death sentences and judicial executions in Libya in 2013 and the first months of 2014. However, extra-judiciary executions by shooting were carried out in Somalia by the Islamic rebels Al-Shabaab, in Yemen by Al-Qaeda linked Islamists, and in Syria by the Sunni jihadist group Islamic State of Iraq and the Levant. In 2013, other executions by firing squad were carried out in 3 non-Muslim countries: China (number unknown); North Korea (at least 17); Taiwan (6). In the first six months of 2014, there were other executions by firing squad in 4 non-Muslim countries: Belarus (at least 2); China (number unknown); North Korea (at least 6); Taiwan (5). Beheading as a “legal” means of carrying out executions provided by Sharia law is exclusive to Saudi Arabia, which beheaded at least 71 people in 2013 (other 7 were executed by firing squad) and 15 people in 2014 (as of 25 June). However, in 2013 and 2014, extra-judiciary executions by beheading were carried out in Somalia by the Islamic rebels Al-Shabaab and in Afghanistan in the zones controlled by the Taliban. Stoning still happens today. There are 16 countries in which stoning is either practiced de facto or authorised by law. Stoning is a legal punishment for adultery in Iran, Mauritania, Nigeria (in one-third of the country’s 36 States), Pakistan, Qatar, Saudi Arabia, Somalia, Sudan, the United Arab Emirates, and Yemen. In some countries, such as Mauritania and Qatar, stoning has never been used although it remains legal. In four of the remaining six countries – Afghanistan, Iraq, Mali, and Syria – stoning is not legal but tribal leaders, militants and others carry it out extra-judicially. In the Aceh region of Indonesia and Malaysia, stoning is sanctioned regionally but banned nationally. In 2013 and in the first six months of 2014, there were no reports of judicial executions carried out by stoning. In April 2013, Iran reinserted execution by stoning for those convicted of adultery into a previous version of the new Penal Code that had omitted it. In 2013 and 2014, in Nigeria and the United Arab Emirates, death sentences by stoning were issued but not carried out. On 1 May 2014, the new Sharia Penal Code of Brunei Darussalam came into force, providing tough Islamic punishments including stoning to death for adultery. However, extra-judiciary sentences by stoning were carried out in Pakistan by tribal courts, and in Syria under the jurisdiction of the Islamic State of Iraq and the Levant (ISIL). In 2013 and in the first six months of 2014, cases involving “blood money” ended in pardon or death in Iran, Kuwait, Pakistan, Saudi Arabia and United Arab Emirates. In September 2011, Saudi Arabia decided to triple Diya, the money paid by a killer to the victim’s relatives under Islamic law, but kept the sum for female victims at half that for male victims. According to the report Freedom of Thought 2013, published by the International Humanist and Ethical Union (IHEU), the “crime” of apostasy was found to be punishable by death in 12 of the most fundamentalist Muslim countries: Afghanistan, Iran, Malaysia (despite contradicting federal law, the State governments of Kelantan and Terengganu passed laws in 1993 and 2002, respectively, making apostasy a capital offense), Maldives, Mauritania, Nigeria (only in twelve predominantly Muslim northern States), Qatar, Saudi Arabia, Somalia, Sudan, United Arab Emirates, and Yemen. Out of 47 Muslim-majority countries in the world, at most 5 permit capital punishment for blasphemy. They are Pakistan, Saudi Arabia, Iran, the United Arab Emirates, and possibly Afghanistan (the new Afghan Constitution incorporates human rights norms that could affect statutes treating blasphemy as a capital crime). In another four States, militant Islamists acting as religious authorities in some areas are also dealing out Sharia punishment including death for “offences” to religion: namely Al-Shabaab in Somalia; Boko Haram and other Islamists in Nigeria; the Taliban in Afghanistan; and the Sunni jihadist group Islamic State of Iraq and the Levant (ISIL) in Syria. In 2013 and the first months of 2014, death sentences for apostasy, blasphemy and witchcraft were imposed though not carried out in Saudi Arabia, Iran, Pakistan, and Sudan. Extra-judiciary executions for blasphemy were carried out in Syria by the Sunni jihadist group Islamic State of Iraq and the Levant (ISIL). Executions of juvenile offenders increased significantly in 2013. At least 13 people under the age of 18 at the time of their crime were executed in 3 countries: at least 9 in Iran; at least 3 in Saudi Arabia; and 1 in Yemen. Another 11 possible minor offenders were executed in Iran in 2014, as of 10 June. In 2012, at least 3 people under the age of 18 at the time of their crime were executed in Yemen (2) and Iran (at least 1). In addition, as of December 2013, juvenile offenders remained in detention under sentence of death in Nigeria and Pakistan. In April 2014, detailed regulations on the implementation of the death sentence, including sentencing for minors, came into force in the Maldives. The International Covenant on Civil and Political Rights (ICCPR) grants an exception to the right to life to countries that have not yet abolished the death penalty, but only in relation to ‘the most serious crimes’. The jurisprudence has developed to the point where UN human rights bodies have declared that drug offences are not among the ‘most serious crimes’. In 2011, through an internal human rights guidance note, the United Nations Office on Drugs and Crime (UNODC) has required the organization to stop funding for a country if it is feared that such support may lead to people being executed. Despite this guideline, the leadership of UNODC has continued to allocate funds to governments, particularly that of Iran, who use them to capture, sentence to death, and often execute alleged drug traffickers. In 2013, Denmark and Ireland announced that they stopped funding an anti-drug programme in Iran because of human rights concerns related to the death penalty. The UNODC leadership doesn’t appear to be at all bothered by the fact that its funds are used by the Iranian authorities to execute “drug offenders” at such a devastating rate. On 7 March 2014, the head of Iran’s Judiciary Human Rights Council, Mohammad Javad Larijani, said the Islamic Republic’s execution rate should be viewed as a “positive marker of Iranian achievement” and a “great service to humanity.” On 11 March 2014, the U.N. anti-drugs chief praised Iran’s fight against narcotics trafficking. Yury Fedotov, executive director of the U.N. Office on Drugs and Crime (UNODC), said “Iran takes a very active role to fight against illicit drugs.” Fedotov made clear the UNODC was not considering halting support for Iran. “I don’t believe that the international community would welcome this because it would mean, as a possible reaction from Iran, that all these huge quantities of drugs, which are now being seized by Iranians, would flow freely to Europe,” he said. Another concern is the presence in many States of legislation prescribing mandatory death sentences for certain categories of drug offences. Mandatory death sentences that do not consider the individual merits of a particular case have been widely criticized by human rights authorities. Thirty-three jurisdictions in all still maintain laws that prescribe the death penalty for drug-related crimes, including twelve countries that allow for mandatory capital punishment for certain drug offences: Brunei-Darussalam, Egypt, Iran, Kuwait, Laos, Malaysia, Oman, South Sudan, Sudan, Syria, United Arab Emirates and Yemen. However, the prohibitionist ideology concerning drugs once again made its contribution to the practice of the death penalty in 2013 and the first six months of 2014. In the name of the war on drugs, in 2013, there were at least 355 executions carried out in 5 countries: China (number unknown); Indonesia (2); Iran (at least 328); Malaysia (at least 1); and Saudi Arabia (at least 24). While death sentences were handed down but not carried out in 10 States: Egypt, Laos, Pakistan, Qatar, Singapore, Sri Lanka, Thailand, United Arab Emirates, Vietnam and Yemen. In 2014, as of 23 June, there were at least 193 executions carried out in 3 countries: China (number unknown); Iran (at least 190, including 81 announced by the Government); and Saudi Arabia (at least 3). In the name of the war on terrorism, authoritarian and illiberal States continue in their violation of human rights within their own countries and, in some cases, have executed and persecuted people that, in reality, are only involved in passive opposition or activities that displease the given regime. In 2013, at least 223 executions related to acts of terrorism or crimes of political nature were carried out in 6 countries: Bangladesh (1), Iran (at least 33), Iraq (at least 168), India (1), Somalia (at least 17), and Sudan (at least 3). 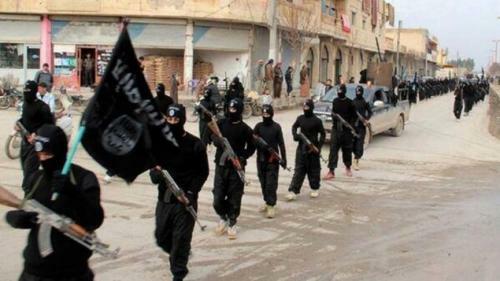 It could not be confirmed if judicial executions for terrorism took place in Syria in 2013. In 2013 and the first months of 2014, hundreds of death sentences were handed down though not carried out in Algeria, Egypt, Lebanon, Pakistan and Saudi Arabia. Among those condemned to death or executed for terrorism in Iran, some may very well be dissenters, in particular, members of Iran’s ethnic and religious minorities, including Iranian Azerbaijanis, Kurds, Baluchis, and Arabs. Accused of being Mohareb – enemies of Allah –, those arrested are often subject to rapid and severe trials that often end in a sentence of death. The punishment for Moharebeh is death or amputation of the right hand and left foot, according to the Iranian Penal Code. In 2014, as of 7 April, Iraq executed at least 46 people for acts of terrorism. In June 2014, China executed 13 Uyghurs for “terrorist attacks” in the region of Xinjiang. In 2014, in Egypt, hundreds of supporters of deposed Islamist President Mohamed Morsi were sentenced to death. Regardless, in 2013, death sentences and executions for non-violent crimes and essentially political motives were confirmed in China (number of executions unknown), Iran (at least 29 executions) and North Korea (at least 17 executions). In 2014, as of 12 June, executions for non-violent crimes and essentially political motives were confirmed in China (number unknown), Iran (at least 24) and North Korea (at least 2). Several countries, mainly authoritarian ones, do not issue official statistics on capital punishment; therefore the number of executions may in fact be much higher. Absolute secrecy governs executions in some countries, such as Egypt, Malaysia, North Korea and Syria, where news of executions does not even filter through to the local media. Secret executions are being carried out in Iraq in the prisons run by Nouri al-Maliki’s Government. Other States, like Saudi Arabia and South Sudan, divulge news of executions after they have taken place with relatives, lawyers and the condemned people themselves being kept in the dark before the actual executions take place. However, there are also countries considered “democratic”, such as Japan, India, Indonesia, Taiwan and the United States itself, where the system of capital punishment is for many aspects covered by a veil of secrecy. In the United States, once the constitutionality of lethal injection was upheld, human rights organisations, along with defence attorneys began putting pressure on pharmaceutical companies in order to block sales and the lethal use of their products to prison authorities. This strategy often proved highly effective. Given the almost insurmountable difficulty in finding these lethal drugs normally on the national and international market, penitentiary authorities began turning to small laboratories which are known in the USA as “Compounding Pharmacies”. The step over to this new type of “supplier” was accompanied by a series of “Secrecy Laws” that allow penitentiary officials to not respond to journalists, lawyers or human rights groups when they request the names of suppliers, and generally bar any public oversight by those who oppose the death penalty. Of the 32 states that still use lethal injection, at least 11 – Arkansas, Colorado, Florida, Georgia, Louisiana, Mississippi, Missouri, Oklahoma, South Dakota, Tennessee and Texas – have adopted secrecy laws that prevent the public or inmates from knowing the source of execution drugs. Today, there are four countries that use lethal injection as a method of execution: United States, China, Thailand, and Vietnam. Three other countries – Taiwan, Maldives, and Papua New Guinea – currently provide for execution by lethal injection but have not yet executed anyone by that method. In 2013, executions by lethal injection were carried out in 3 Countries: United States (39), China (number unknown) and Vietnam (at least 8). In the first six months of 2014, lethal injection was used in at least 2 Countries: United States (23 executions, as of 30 June) and China (number unknown). Countries that decided to abandon the electric chair, hanging or the firing squad for lethal injection as the preferred method of execution, presented this “reform” as a conquest of civility and a humane and painless way to execute the condemned. The reality is far different. On 29 April 2014, the state of Oklahoma attempted to carry out Clayton Lockett’s death sentence by lethal injection, using a three-drug combination that had not been previously used in the state. 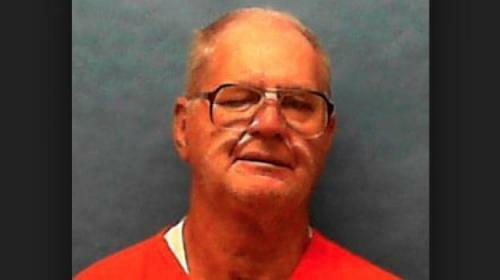 Lockett convulsed violently during the execution and tried to lift his head after a doctor declared him unconscious, then died of an apparent heart attack 43 minutes after the execution began. On 2 May, President Barack Obama called the botched execution in Oklahoma “deeply troubling” and announced that he was going to ask the Attorney General to analyse all problems surrounding the application of the death penalty in the United States. All the member countries of the European Union along with many other abolitionist countries are committed, on the basis of their own laws and/or through international treaties that they have undersigned, to not extradite persons suspected of capital crimes in countries where they risk being condemned to death or executed. Some abolitionist countries have not considered this commitment as obligatory. As can be seen in the 2014 Report by Hands off Cain, the worldwide trend towards abolition, underway for more than fifteen years, was again confirmed in 2013 and the first six months of 2014. The slight increase in executions in 2013 as compared to 2012 is explained by increases recorded in Iran and Iraq. In recent years, China has always placed first for the number of executions, even though Iran is the absolute top in carrying out the death penalty in the world per capita. While the number of executions in China – about 3,000 in 2013, more or less as in 2012 – decreased more than 50% compared to 2007, i.e. since the introduction of a legal reform, which required that every capital sentence handed down by an inferior Court be reviewed by the Supreme People’s Court, the number of executions in 2013 in Iran was the highest reported in more than 15 years. The election of Hassan Rouhani as President of the Islamic Republic on 14 June 2013 had led many observers, some human rights defenders and the international community to be optimistic. However, the new Government has not changed its approach regarding the application of the death penalty, and indeed, the rate of executions has risen sharply since the summer of 2013. According to Iran Human Rights (IHR), at least 870 people have been executed during the first year after the presidential elections (between 1 July 2013 and 30 June 2014). Iraq, for its part, seems to have adopted the “Mullah model” in all respects, and also in relation to the death penalty. In 2013, Iraq executed at least 172 people, the country’s highest figure since the 2003 US-led invasion. Another 46 people were executed in 2014, as of 7 April. Executions began in August 2005. Since then, at least 665 executions were carried out, most of them related to acts of terrorism. Iraqi officials insist capital punishment is both sanctioned by Islam and an effective way to curb violence, despite the fact that the amount of people put to death in 2013, often in groups, has had no visible impact on the worst protracted surge in bloodshed since 2008 (in 2013 there were 6,300 victims of terrorist attacks, according to the AFP). However, the most negative aspect to emerge from the 2014 Hands off Cain Report concerns the so-called liberal democracies. In 2011, only 2 democratic Nations had practiced the death penalty: the United States and Taiwan. In 2012 the number rose to 5, with Japan, Botswana and India joining the list, to which Indonesia added itself in 2013, after a de facto moratorium dating back to 2008. While in the United States there is an evident and seemingly irreversible trend towards abolition with six States abolishing capital punishment in the last six years, in other democratic countries the figure is more disturbing because it represents an opposite trend. But perhaps even more troubling is that in all these countries considered “democratic,” including the United States, the system of capital punishment is for many aspects covered by a veil of secrecy. In Japan, the unnecessary secrecy and uncertainty surrounding the practice of the death penalty continued to be maintained in the past executions of death row inmates, two of whom – Keiki Kano and Kaoru Kobayashi – were executed in February 2013 despite both preparing to apply for retrials, in contravention of international standards on the use of the death penalty. Secret executions of death row prisoners are increasingly becoming the order of the day in India, after the executions of November 2012 and February 2013, which were shrouded in secrecy and ended a de facto moratorium dating back to 2004. The prisoners sentenced to death and their lawyers and family members were not informed in advance of their imminent execution, foreclosing the opportunity of appealing the court for a stay of execution. Even in Indonesia, relatives, lawyers and the condemned people themselves are kept in the dark before the actual executions take place. The condemned are usually informed of their execution only 72 hours in advance, but it does not appear that the families or legal representatives of the five individuals executed in 2013 had been informed in advance, thereby preventing last-minute appeals for a stay of execution. Also in Taiwan, executions are performed in secret: nobody is informed beforehand, including the condemned and their family members, who only find out when they are invited to collect the body from the mortuary. Finally, in the United States, despite the decreasing number of States that maintain the death penalty, there is an active attempt at concealing the way executions are carried out. The increased secrecy around lethal-injection drug protocols is only the latest tactic of pro-death-penalty legislators and corrections officials around the country in their bid to continue killing people in a “civilised” manner, and generally bar any public oversight by those who oppose the death penalty. Of the 32 U.S. states that still use lethal injection, at least 11 have adopted secrecy laws that prevent the public or inmates from knowing the source of execution drugs. In December 2014, the UN General Assembly will vote on a new Resolution – the fifth – calling on States to establish a moratorium on executions, with a view to abolishing the practice. On the Resolution of 2012, Chad, Central African Republic, Sierra Leone and Tunisia, which had abstained or were absent in 2010, for the first time voted in favour. The first three countries were targeted in previous months by a mission of Hands off Cain and the Nonviolent Radical Party, Transnational and Transparty, aimed at getting their vote in favour of the Resolution. The goal of Hands off Cain for the next Resolution is twofold: to strengthen the text and to increase the number of co-sponsors and votes in favour. 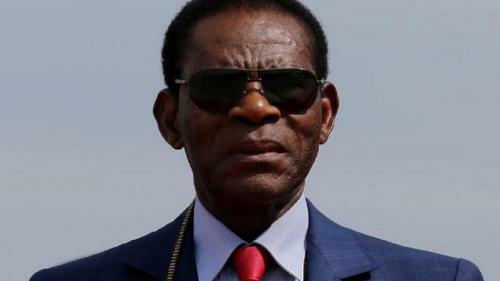 With regard to the text of the new Resolution, Hands off Cain re-launches its proposal to the UN Secretary-General to establish the figure of a Special Envoy on the death penalty. His job should be, not only to monitor the situation and to push for increased transparency within the systems of capital punishment, but also to continue to persuade those who still maintain the death penalty to accept the request of the United Nations for a moratorium on executions with a view to abolishing the death penalty. Also in seeking new co-sponsors and votes in favour of the Resolution, Hands off Cain has already organised or promoted two important conferences in Africa: the first was held on 13 and 14 January in Freetown in Sierra Leone with the support of Norway’s Ministry of Foreign Affairs; the second was held from 2-4 July in Cotonou in Benin under the auspices of the African Commission of Human and People’s Rights and the Government of Benin. In view of the vote in December at the United Nations, Hands off Cain is planning new missions to various African Nations – including Comoros, Ghana, Equatorial Guinea, Liberia, Niger, Senegal, Zambia and Zimbabwe – with a two-fold goal of supporting the internal processes of abolishing the death penalty and encouraging Governments to support the United Nations Resolution.